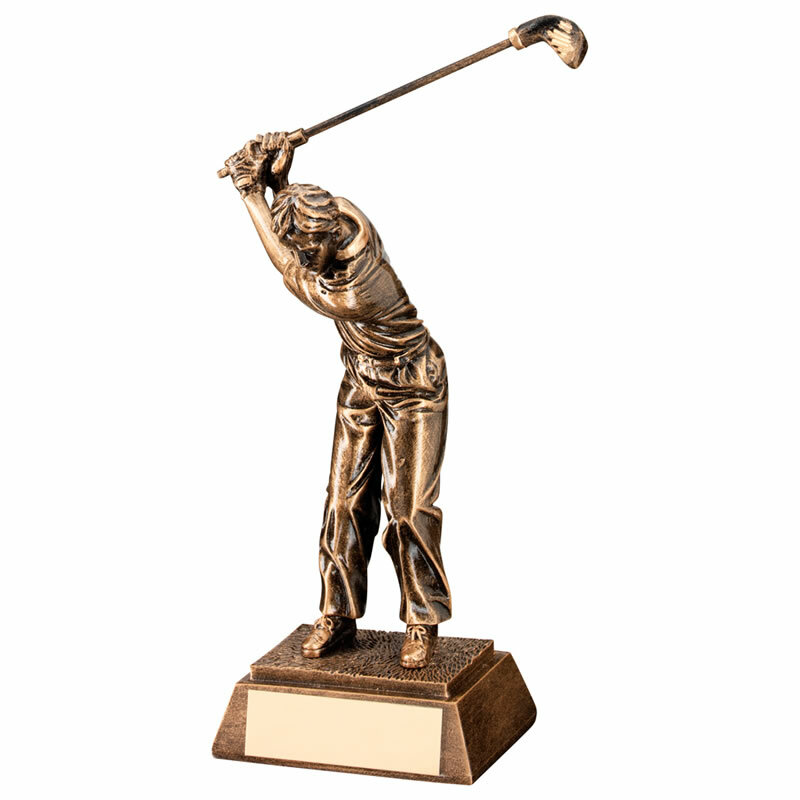 These detailed resin golf trophies are suitable to reward a wide range of golfing achievements and events. They feature a male golfer in back swing pose, set on a bevelled base with engraving plaque. Available in three size options, these golf figure trophies have a stylish antique bronze finish and are offered with text and logo engraving options.